After a long and cold winter, one of the most exciting parts of the spring is opening your pool again. However, it may have been damaged because of the cold weather. And, therefore, before it can be put to use again, you may have to do some inground pool repairs. Mr. Pool is here to help. 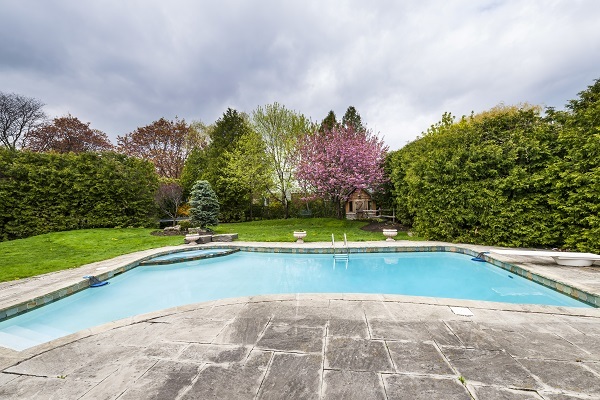 As specialists in inground vinyl pool liner replacement, inground pool leak repair, and inground pool crack repair, we have put together this list of common problems that may be found in your pool when spring comes around. Throughout the course of winter, the piping or shell of your pool may have cracked and caused a water leak. The pumps could leak from the shaft seal which may have deformed in the cold, and pool filters can leak on the drain plug, clamp band or air bleeder. If you find the water level in your pool dropping faster than what it should due to evaporation, call Mr. Pool for these inground pool repairs. If you have an air leak, you will notice that there are bubbles being discharged into your pool. An air leak always comes from the pump, specifically, from the vacuum section of the pump. Ensure that the pump lid is tightly fitted and check all the fittings. A pool cover will protect your water from the elements and reduce algae growth. Ensure you run your pool pump during the winter months as well. If you still have algae in the spring, Mr. Pool can assist you with an algaecide regimen. Even if you do have a pool cover fitted, leaves and insects are bound to find their way into your pool. Where these foreign contaminants come to rest, they will rot and leave stains. These stains will likely come off with chlorination and circulation, but if they are more stubborn, some brushing and vacuuming will get rid of them. If you’re looking for assistance with inground pool repair maintenance, Mr. Pool is the way to go. With 30 years of experience in pool services, Mr. Pool is your go-to for pool repairs, maintenance, and new inground pool installations. At Mr. Pool, we pride ourselves on honesty, trustworthiness, and impeccable service. You can contact us for more information.